Following the Nigeria HIV/AIDS Indicator and Impact Survey (NAIIS), 2018 Report officially launched by President Muhammadu Buhari in Abuja, for 2019, Akwa Ibom, Benue and Rivers have been marked top with the virus. The virus is said to be currently contained by 1.9 persons withing the country, especially in women and youths between the age of 15-49 years, who are more sexually active. The survey was launched last year, to assess the true state of HIV burden in Nigeria and possibly, offer suggestions on how best to approach the interventions. Though there is a decrease in the number but President Buhari said there is no need for celebration, yet, disclosing that there are still millions of people living with HIV/ÀIDS who are yet to access treatment. He pointed that the availability of accurate and reliable HIV data for the country is crucial for planning of effective health interventions in arresting the epidemic. “We have paid deliberate attention towards effecting change in our health sector and this is in line with our determination as we commence full implementation of the Health Act that will ensure that every Nigerians has access to comprehensive health services." 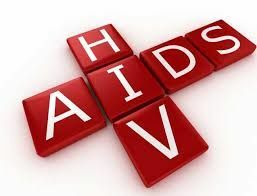 “Abia and Taraba have commenced and, the Federal Government, on its part, would ensure that HIV treatment programme is properly funded this year and accommodation made to resource future expansions in the coming years,” the president said. “I have directed NACA and the Ministry of Health to charge a new strategic plan for a way forward, for us to collectively pushed towards the last mile", he added.